For Ramadan, Paris Gallery, has launched a new Fontenay Paris jewellery collection that was designed exclusively to celebrate Ramadan. 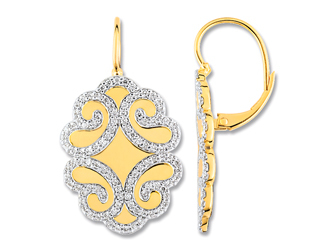 Naturally, Paris, the city of fashion and refinement, has inspired the creation of these elegant jewels. 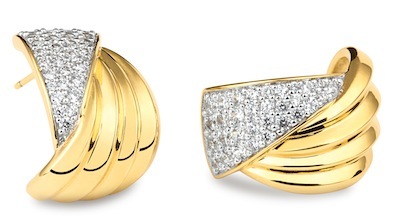 The sparkling cubic zirconia stones enhance the draped pattern of the 18k gold-plated jewellery for a sophisticated couture design, perfectly reflecting Fontenay Paris’ know-how and unique style. The collection, which includes a necklace, bracelet, earrings and a ring, is available exclusively at Paris Gallery stores across the UAE. A commitment to produce high-end quality products has contributed to the success of Fontenay. The designs have an everlasting sophistication that will please lovers of exceptional items. The introduction of this special jewellery line with its dazzling stones skilfully set on every piece represents purity and elegance, and is the perfect Ramadan jewellery complement. The gorgeous guys at Paris Gallery sent me many images but the one below is my favourite. I would have loved it in white gold even more but that’s just me.